Submitted by mark on Thursday, October 11th, 2018 at 4:46 pm. The CCC "Beca Heritage Week 2018" starts this Saturday. Join Christchurch Civic Trust on the front lawn of McLean's Mansion to hear about the restoration of this Highly Significant/Category 1 heritage building. Other Christchurch Civic Trust initiatives included on the bus tour are Mona Vale, The Arts Centre and the Peacock Fountain. A floor talk by Dr Anna Crighton of the Christchurch Heritage Trust, will explain why the theme of Suffrage and Heroism relates to the history of the (Trinity) Church. Canterbury's only WWI Victoria Cross winner, Henry James Nicholas, and the leader of Women's Suffrage, Kate Sheppard, both worshipped there. Submitted by mark on Tuesday, October 10th, 2017 at 1:32 pm. Submitted by mark on Tuesday, October 10th, 2017 at 1:27 pm. 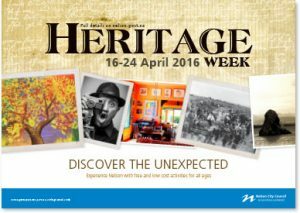 Beca Heritage Week 2017 will run from 13 to 23 October 2017 and celebrates the rich heritage of Christchurch and Banks Peninsula. The theme for Beca Heritage Week 2017 is Plains, Port Hills & Peninsula – Finding our Way. The theme reflects this year’s anniversaries which offer the chance to explore and celebrate the cultural and physical development of our district and the pursuit of leisure activities in a unique landscape, defined by Plains, Port Hills and Peninsula. Details here on what is on! Submitted by mark on Tuesday, October 10th, 2017 at 12:08 pm. Brought to you by Historic Places Canterbury and the Christchurch Civic Trust. Join the London double-decker free bus tour and get the full story from enthusiastic building owners and heritage advocates. 10.00 am Tour 1 Caffe Roma & the Public Trust building, then Shands and Trinity buildings followed by free sandwich lunch and heritage display/discussion back at WEA. 1.15 pm Tour 2 Wood’s Mill and then St Barnabas church followed by afternoon tea and heritage display/discussion back at WEA. Interesting and surprising pauses to look at heritage sites on the way Mini award-winning Shop 7 heritage display at base for the day WEA – including heritage demolition roll, Civic Trust book “City and Peninsula” available for purchase. Free sandwich lunch for Tour 1; afternoon tea following Tour 2 You are welcome to book for both tours. Spend the day with us! Submitted by mark on Monday, June 4th, 2018 at 4:58 pm. Beca Heritage Week 2018: "Strength from Struggle – Remembering our courageous communities." An annual festival held in Christchurch and Banks Peninsula to celebrate the heritage of our district. The details have been released. 100 years since the 1918 influenza pandemic. The theme for Beca Heritage Week 2018 reflects these significant anniversaries which were hard won or hard fought struggles in world and New Zealand history. These anniversaries present an opportunity to remember the challenges faced by many communities in the past, commemorate the loss, courage and endurance of those who came before us, and celebrate their victories. Submitted by mark on Friday, July 15th, 2016 at 2:01 pm. Submitted by mark on Friday, October 23rd, 2015 at 4:32 pm. “The Old Government Building is one of the most magnificent and monumental structures in New Zealand,” said Dr Anna Crighton from Historic Places Canterbury at the Heritage Christchurch open day. “This is our third open day since our hotel building reopened and we are delighted at the ongoing public interest. Our hotel guests frequently tell us how much they appreciate staying in a building of such unique endurance and elegance,” said Ms Ana Vivas, resident manager of Heritage Christchurch. Submitted by mark on Thursday, October 1st, 2015 at 5:53 pm. 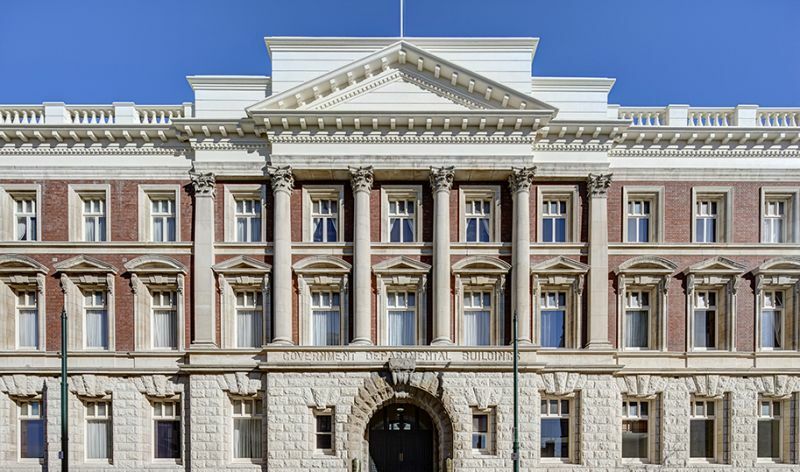 Celebrate a special piece of Christchurch’s heritage with a peak behind the scenes at the Heritage Christchurch, set in the Old Government Building on Cathedral Square. The 102 year old building’s doors will open to the public for tours on the afternoon of Sunday 18 October as part of the Beca Heritage Week. Submitted by mark on Sunday, September 27th, 2015 at 6:24 pm.